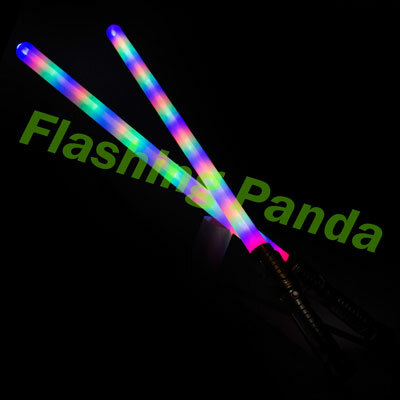 Flashing Panda's Double Light Saber sword is over four feet long, with blinking multi-colored LED lights inside the mate-white tube. 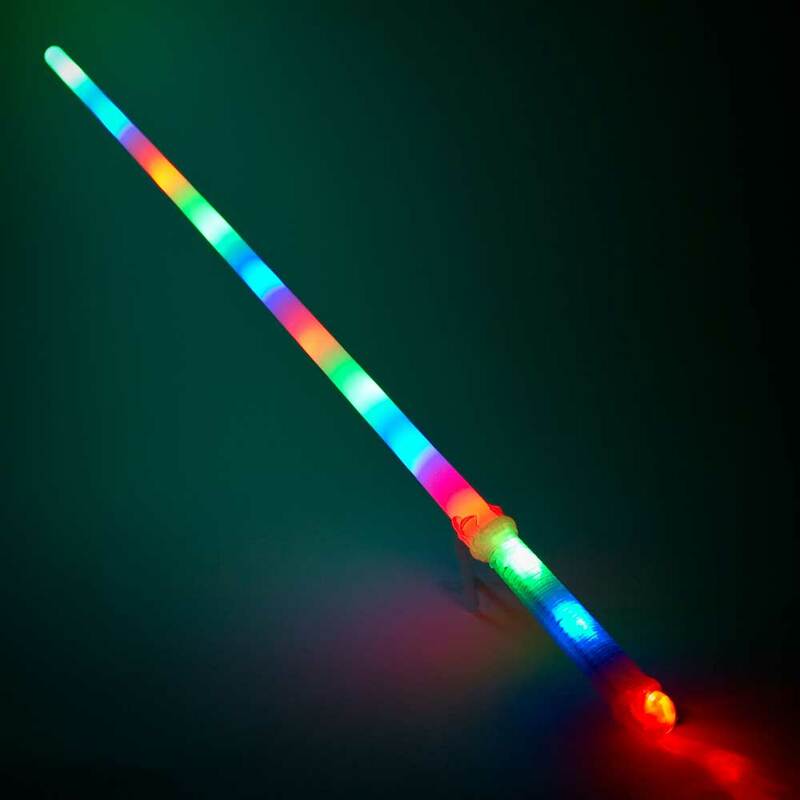 Lights shimmer when you swing the sword with a choice of six animated modes. 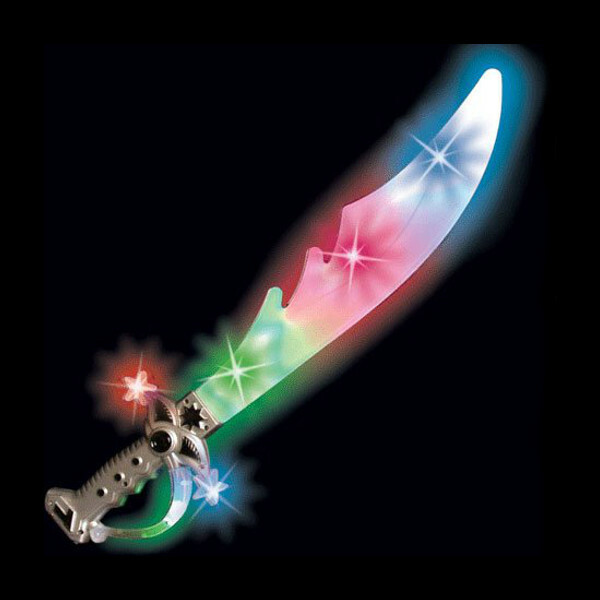 Great asset for your roll-playing games and parties. A favorite at raves, concerts and parties. 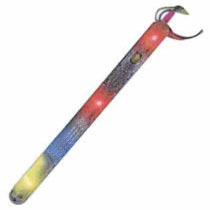 Kids and adults go nuts over these. 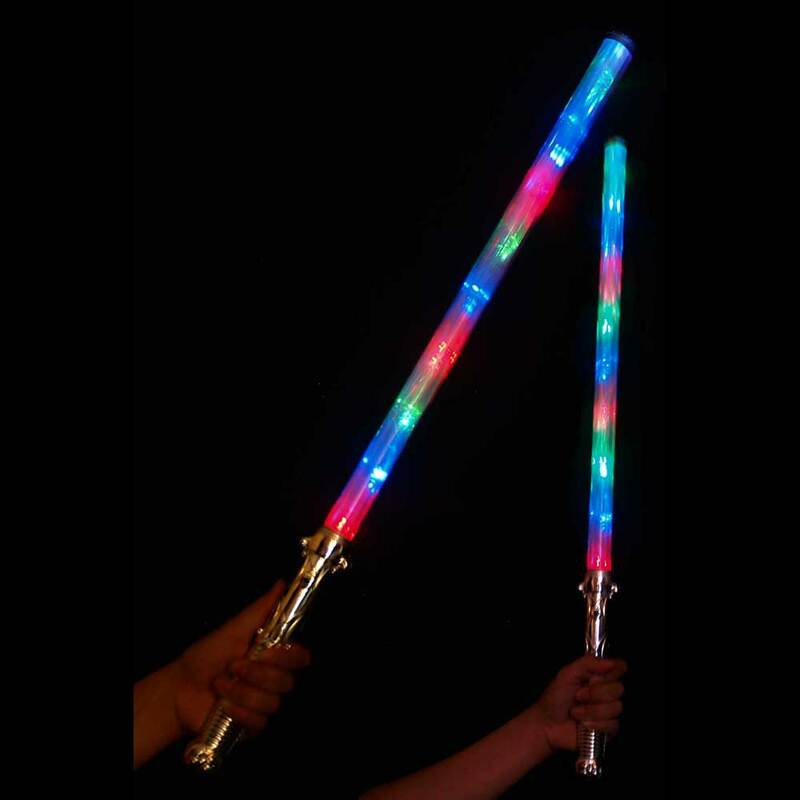 Help defend peace in the universe with these Multicolor Lightsabers! 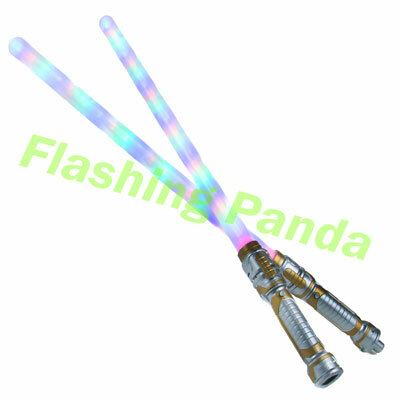 Use these Lightsabers to enhance a galaxy defender costume. 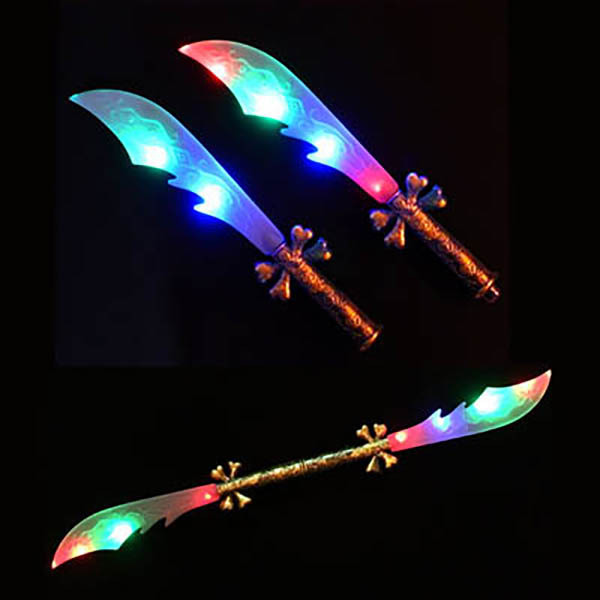 Not only great for protecting the force, these Swords create massive illumination! 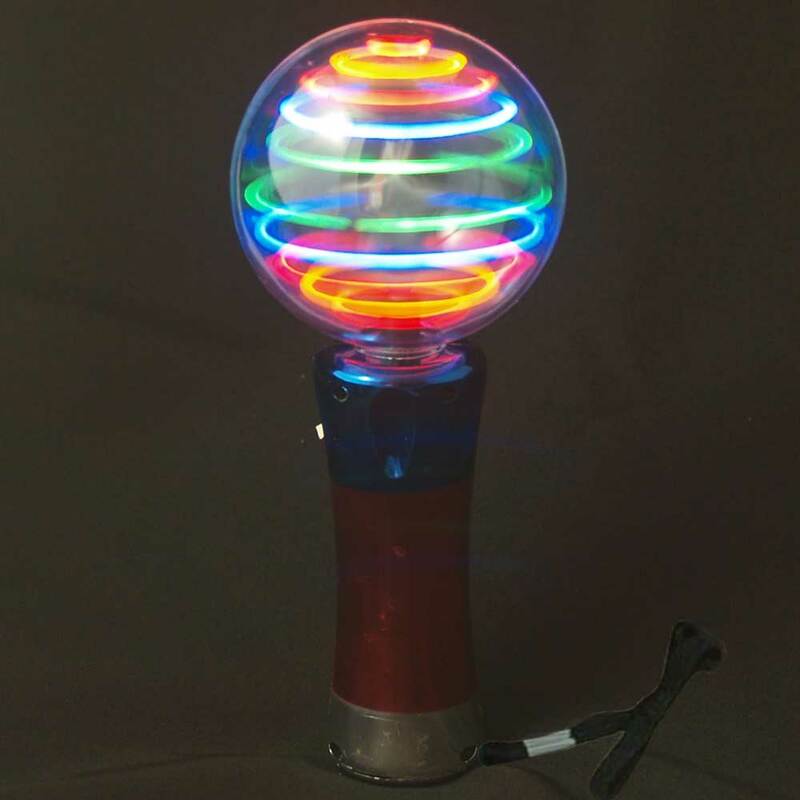 There are three settings for the Flashing LED Lights, activated by pressing the button on the handle. 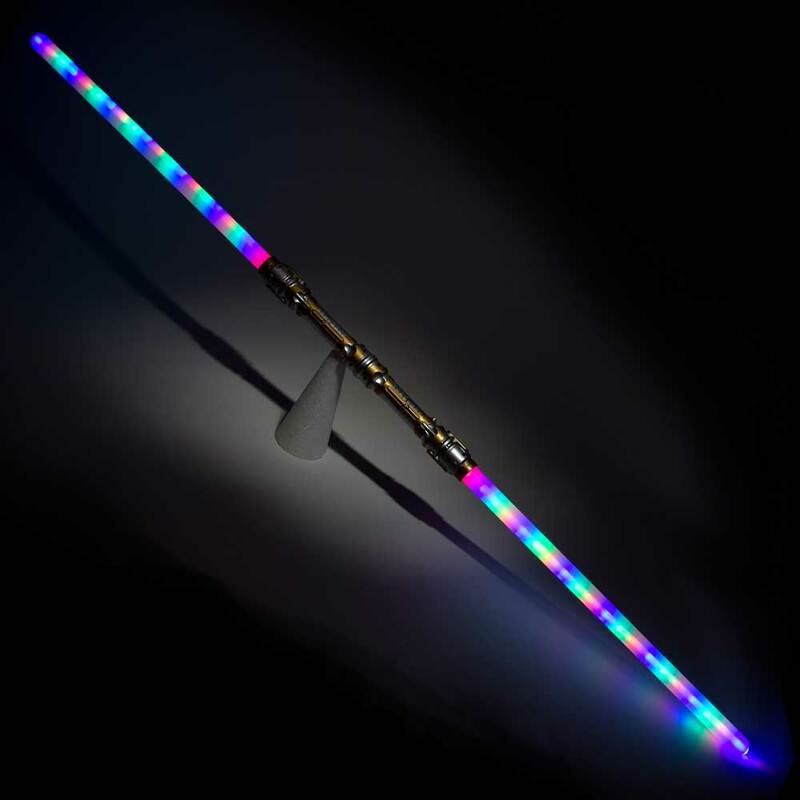 Multicolor Lightsabers make great gifts, costume additions and party favors! 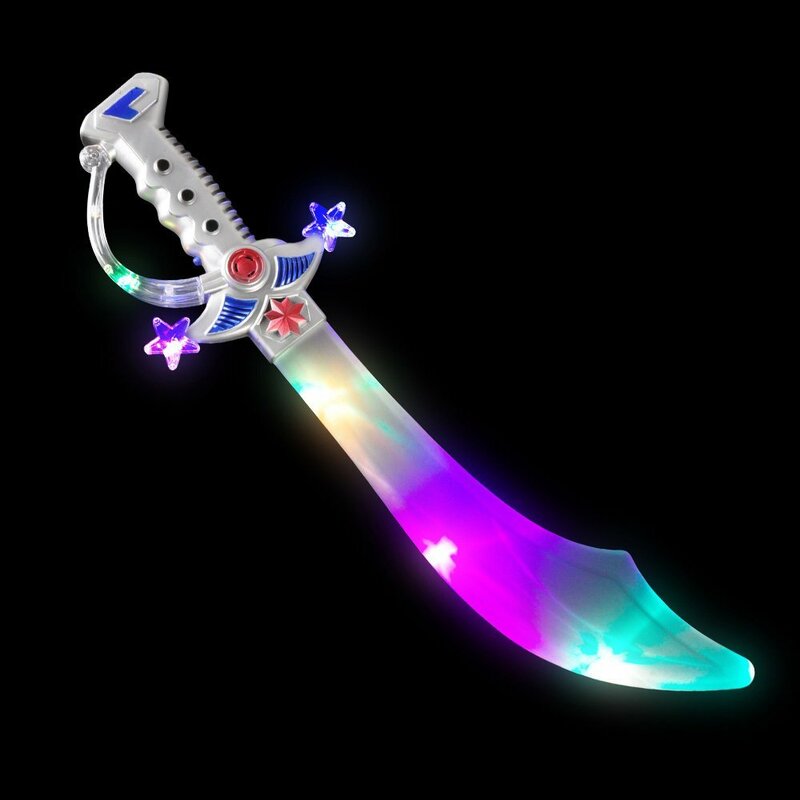 Press the power button on either half to turn the sword on. Press again to go to next mode, etc. Keep pressing to go through all modes, then turn off. 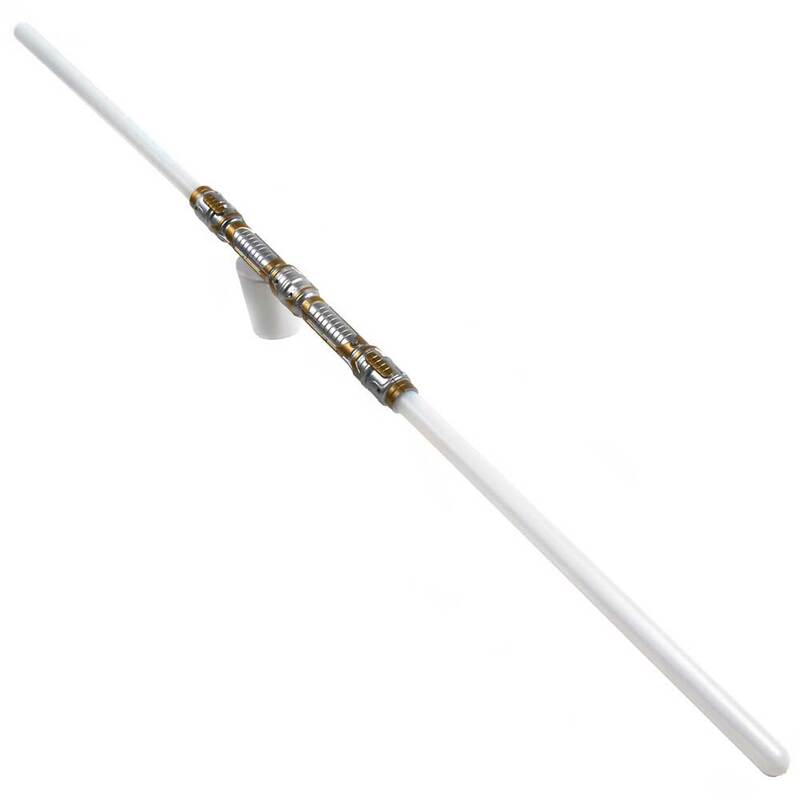 Each half is controlled separately and can be used individually, or interlocked. Check out the Wholesale Lots section of our store for details.